De Medici Restaurant has been renovated and re-opened! 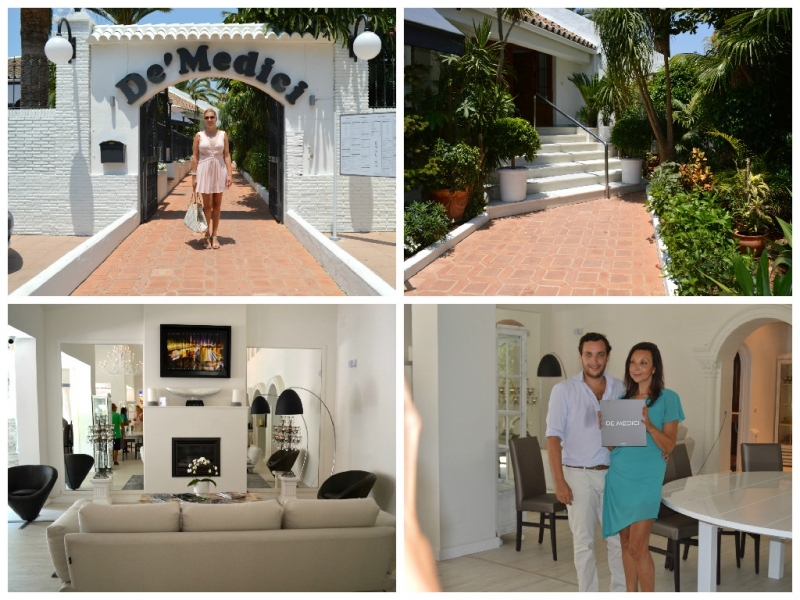 De Medici Restaurant located in Estepona was re-opened on July 9, 2015. The restaurant was completely refurbished under the supervision of Jonathan Sobell, British entrepreneur. The restaurant offers a variety of international flavours and a healthy menu from a famous culinary expert Carole Sobell. De Medici now oozes cosmopolitan style and uniqueness, at the same time, still having the local charm of a Spanish villa. The restaurant is managed by Jonathan Sobell himself along with Carole Sobell, his mother. A strong tandem, they offer their knowledge and experience in the field of nutrition, cooking, and healthy recipes. Having attended the re-opening party and being a nutrition specialist myself, I must say that De Medici's menu is healthy, the dishes are mouth-watering, and mutton is, indeed, superb.